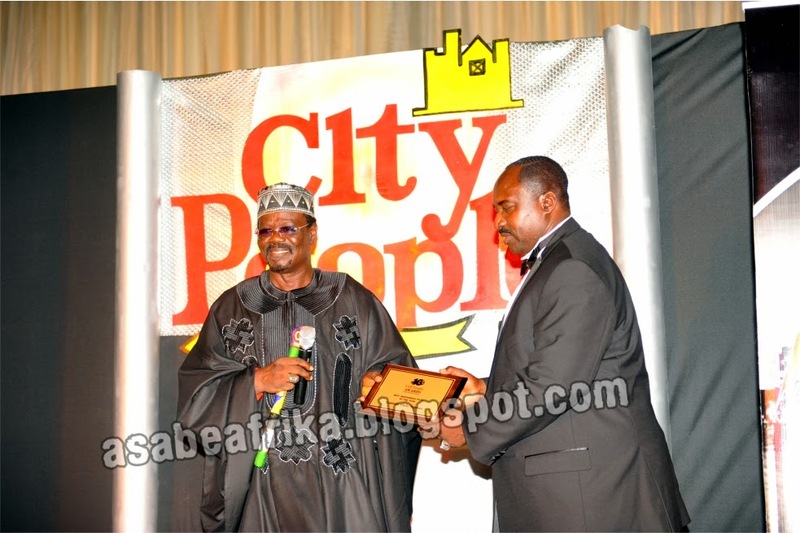 Last year when City People Media Group, the inventor of the yearly City People Awards for Excellence staged their 16th edition with a new category of “BEST INDIGENOUS PILOT OF THE YEAR” heads were raised in the direction of several local airline companies in Nigeria with the hope that the Best Indigenous pilot will emerge from one of the few players like Aero, Dana, Air Nigeria and the rest. But unfortunately 2012 was not particularly a year that came favorably well with most airline companies in Nigeria especially Dana Air which had a cooperate stigma of killing 117 Nigerians on Sunday June 3rd 2012 via the crashing of one of her planes in the Iju Area of Lagos, South West Nigeria. The bad press the accident generated was something that robbed the airline of any probability of attracting a PR grace to itself. For Air Nigeria, it was also a messy year as the very garrulous billionaire investor Jimoh Ibrahim who acquired the airline was on a boxing ring with his workers, a situation that finally led to the paralysis of the airline company, making the Igbotako, Ondo state born Money bag eat his humble pie and agreeing that he can not run an airline business successfully. For the likes of Chanchangi and IRS, it was a season of one technical problem or the other; it was either one of their plane was crash landing at one local airport or the other or better still, one of their aircraft is busy making horrible mid air emergency landing/return-to-base as a result of bad engine. It was also the year the Canadian Technical partners pulled out of the Aero deal as a result of the Oceanic Bank crisis that ran hard times over the Ibru family who controls major shareholding in the airline. Majority of the local airline companies were in one bad administrative or technical mess or the other. 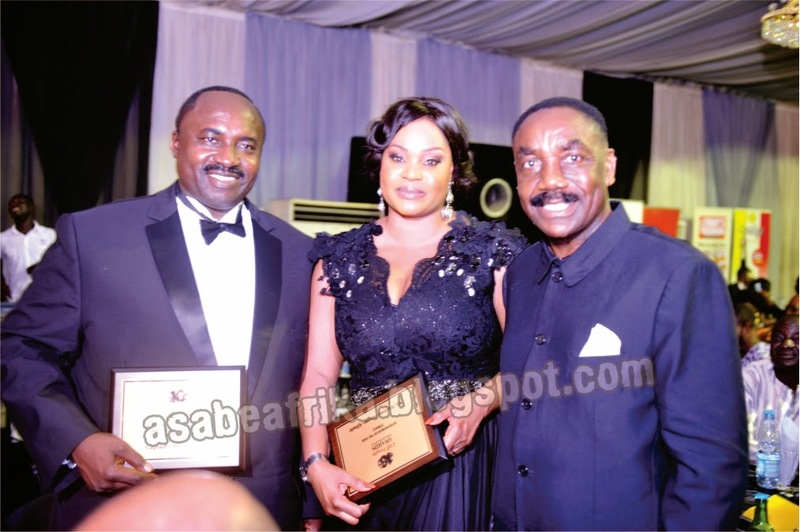 However, it was not surprising when Arik Air, Nigeria’s most certified best airplane delivery Aviation Company emerged THE BEST AIRLINE COMPNAY OF THE YEAR at the 16th City people Awards for Excellence and to also put the round peg in a round hole, Captain Chris Najomo who is one of the star pilots of the airline company emerged THE BEST INDIGENOUS PILOT OF THE YEAR. For those who are familiar with the antecedents of Captain Chris Najomo, his 33 years in the Nigerian aviation industry can not be a child’s play. Fondly called Jolly Papa by legion of local air travelers, the Delta state, South-South Nigeria born pilot has the rare attributes of being one of the very few that played in the old school era and contemporary times. Starting his career with Okada Air in the 80s, Najomo worked through Albarka Air PLC, Capital Air before his new experience with the generational planes at ARIK AIR. He also worked at interval as an interventionist pilot for the Nigerian Army where he helped them flew some jets in some war torn African nations for the sole purpose of peace keeping efforts. These were contributions above his civil aviation pedigree. Tuan Wleh Mayson, Chairman UBA, Liberia. 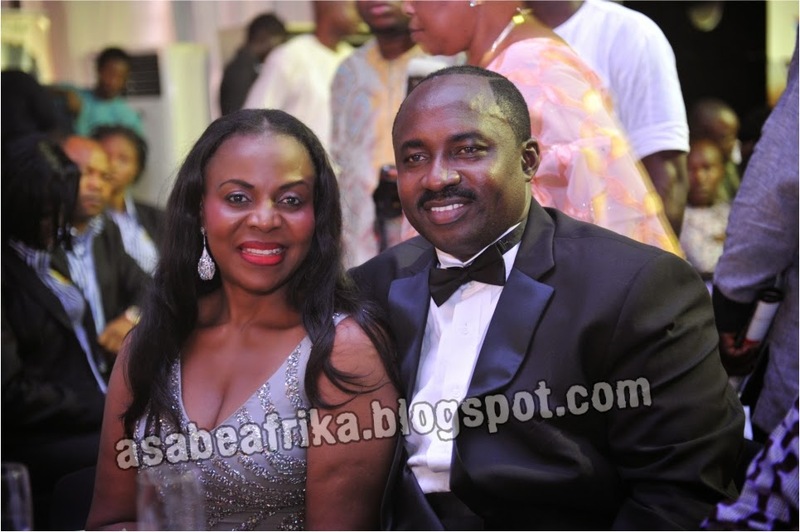 When he emerged BEST INDIGENIOUS PILOT OF THE YEAR at the 16th edition of the prestigious City People Awards for Excellence, many who got to know more of his credentials marveled at his profile while old school fans agreed that he indeed deserved the appellation. 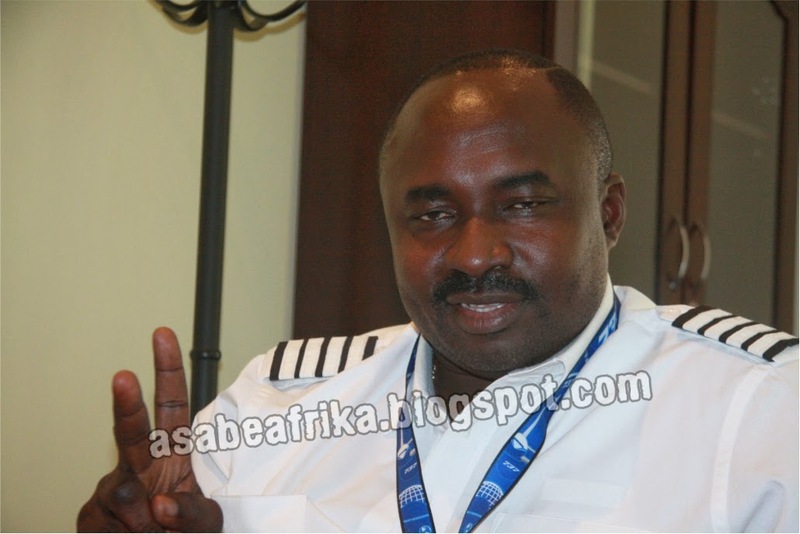 But immediately after he was declared the BEST INDIGENOUS PILOT of 2012 by City People Najomo’s profile catapulted as he was promoted to the International route schedule of Arik Air where he now flies Jo’ Bourg (South Africa) New York (USA) and Heathrow (London). But his elevation to the international route by his employers didn’t come cheap for his numerous local passengers/fans in Nigeria who have elevated him in their heart to the position of an “air god” who usually make their air experience a sweet dream. The reason is that Najomo has dragged along a conglomerate of loyal and committed air travelers in the last three decades of his flying experience who religiously follow him to any airline he picks his nest pay slip. In most cases this category of fliers will ask before flying an air bus “Is it Jolly Papa on board?” a ‘yes’ automatically shoots their adrenaline up as they know the flight experience is going to be full of fun and enjoyment from take-off to landing. But if on the contrary, it is not Jolly Papa on board then, the reason for flying is basically for the exigency of the trip. In a nutshell, what Najomo gives as the man in the cabin is a combination of fun, laughter, happiness and nostalgic feeling of adventure. To them, he is the only pilot who knows the colors of the sky like a female fans recently put it to this blog. 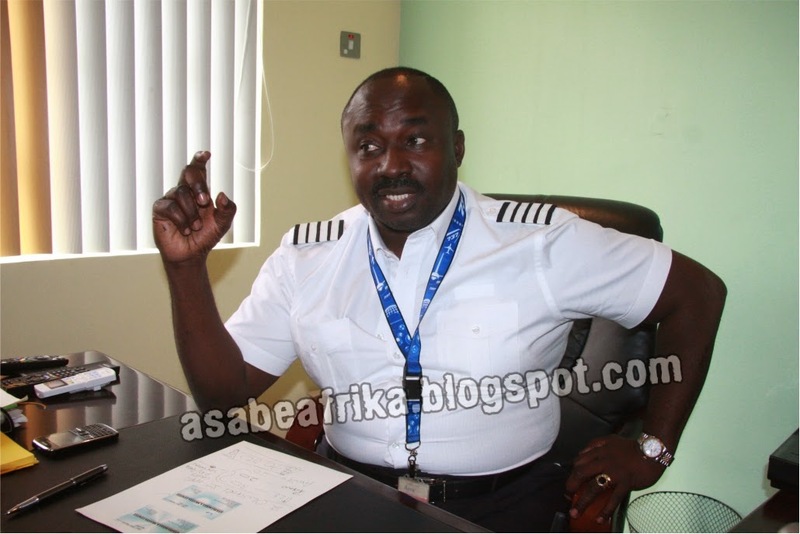 The 17th edition of the City People Awards for Excellence is taking place in few weeks time in Lagos and this blog went into town here in Nigeria last week and the feelings we got from Najomo’s resume is one thing that make us feel that the veteran pilot might be the candidate to still take the plaque this year even if his principal, Arik Air fails to pick one. Flying is my second nature. 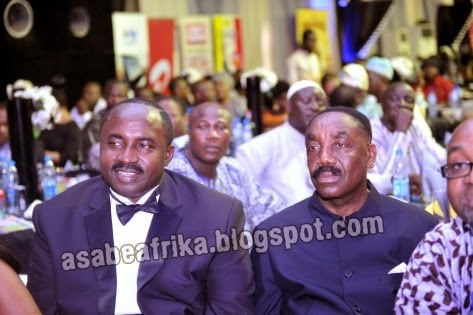 Chris Najomo (JP, CMW) aka Jolly Papa is a household name in the Nigerian Aviation Sector where he was groomed at a very tender age courtesy of the professional ambience of his late father, Sir Dele Najomo who was himself a pioneer air traffic controller of the defunct Federal Airport Authority (FAA) now Federal Aviation Authority of Nigeria (FAAN). Chris, as an early bird with uncanny prescience appeared to have etched out his rendezvous with aviation very early as he diligently followed his father Dele Najomo to all his working stations across Nigeria during those blessed olden days of the 60s and 70s and the experience soon made him develop a passion for the “Big Flying Bird” which he watched his father control as a traffic controller in several instances, and at a very close range. His earlier ambition to become a lawyer soon deflated as he developed an uncanny passion for Aero Planes, thereby convincing his old man to enroll him into an aviation school. Born Chris Ona Najomo in Uvwie Local Council area, Effurun, Delta State on September 17, 1959, this indefatigable pilot of a first class degree has earned himself an enviable work experience in several segments of the aviation sector. 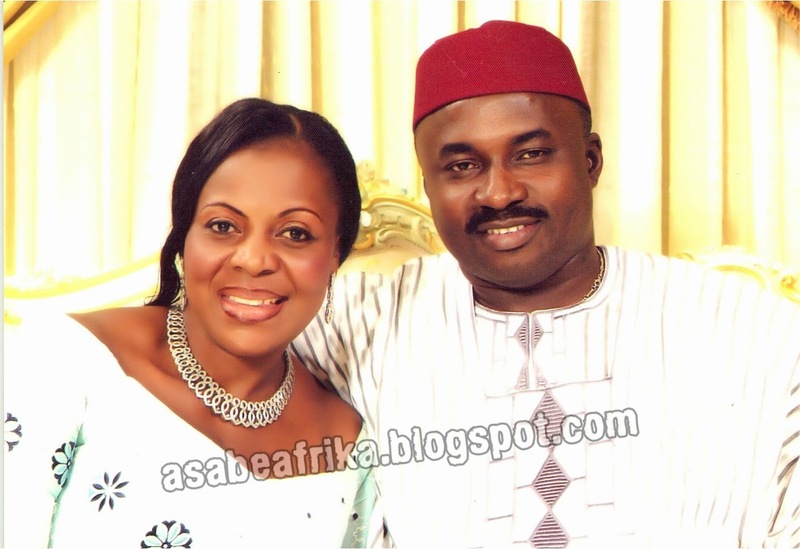 His educational achievement exposes him as a complete Nigerian who is highly detribalized. Captain Chris started his education career at Local Authority Primary School, Ikeja, Lagos between 1967 and 1973, and got his O’ levels Certificate at Federal Government College, Kano in 1979. This is very significant to his aviation career as Kano was the first city where an airplane landed in the year 1925 at the Polo Field. His colorful aviation career started at the Federal Civil Aviation Authority Training School, Lagos between 1980 and 1981. He equally attended several technical and aviation management courses at some prestigious institutions both home and abroad.  Some of them are: the famous Airline Training Institute, California, USA, American eagle Aviation, Long Beach, California, USA: Point Airline, Orly, France. Aerlingus, Dublin Ireland. Shorts Brothers Aviation, Belfast, Northern Ireland. Pegasus Aviation Training Center, Texas, USA. US Air, Pittsburg, USA. SIM Center Miami, Florida. Fly Safety International, Le-Bouget, Paris and a host of other world class aviation institutions which he attended at several intervals of his colorful career. Between 1979 and 1981, Chris Najomo literally filled his late father’s shoes as he became air traffic Control Assistant at the Federal Airport Authority of Nigeria; he worked at the Ilorin, Enugu and Lagos Control Towers. He did this simultaneously with his studies at the Federal Civil Aviation Authority Training School which enabled him to become a pilot later in life. At several times, Najomo had worked and won laurels that exposed his dexterity at what he does-flying. At some points in his career, he was a designated examiner on various brands of aero planes for the Nigerian Civil Aviation Authority. 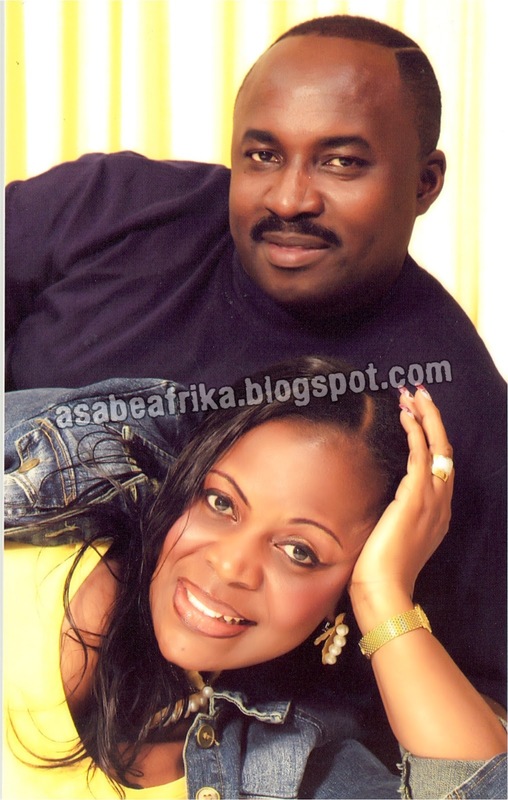 He is a certified examiner for the Nigerian Civil Aviation Authority till date. Najomo had his baptism of fire as an aviator in a 17 years stint with the defunct Okada Air lines and left as the airlines’ Director of Flight Operations after holding other creative positions of authority like Training captain on BAC 1-11 and Boeing 727 air buses. 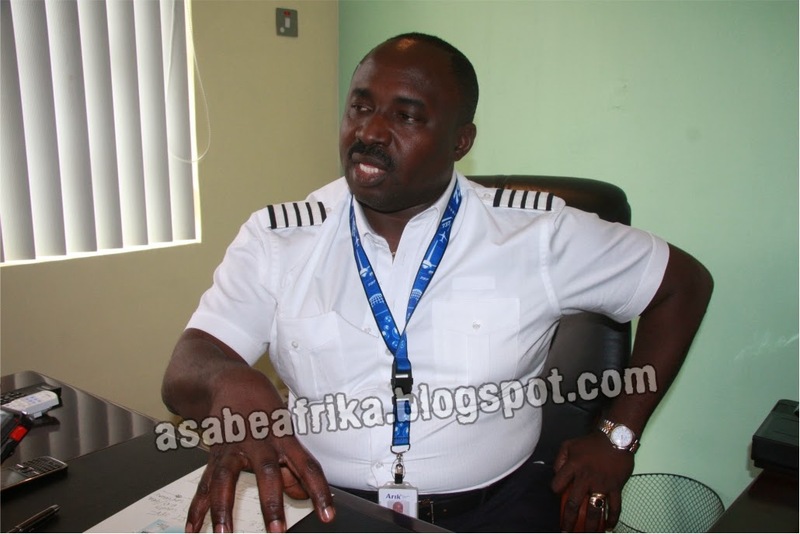 He later joined Albarka Air Plc where he held several positions of authority like training captain/ simulator to the airline company before he was promoted as the Director, Flight Operations, Albarka PLC in 2004. 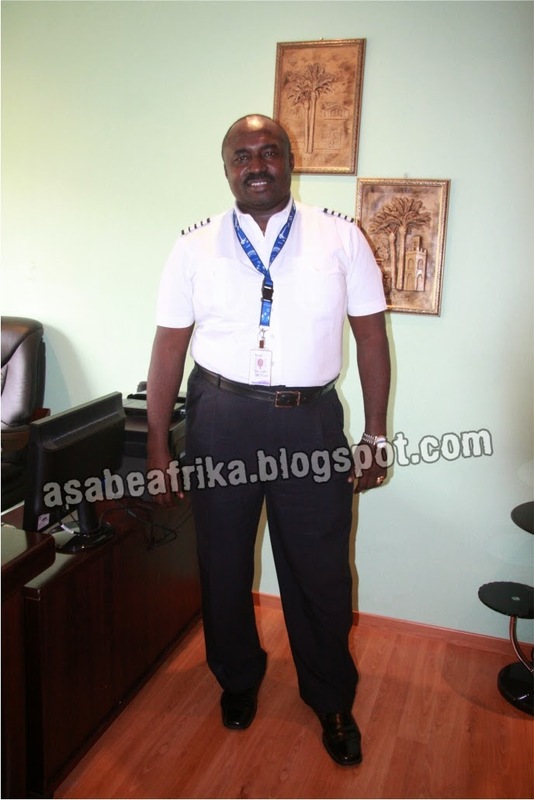 By the time he left Albarka Air Plc in 2005, another big appointment was waiting in the wings for this seasoned pilot. He became the Managing Director of Capital Airlines Ltd, a private service delivery aviation company with headquarters in Lagos. He was in the saddle for three years before he left to join Arik Air, which turned out to be his best offer at the time among several other offers. At several times, Najomo worked as a contract training captain to several airlines companies home and abroad. In year 2000, the Federal Government of Nigeria under President Olusegun Obasanjo awarded him the prestigious ECOMOG Medal of Honor Award for flying ECOMOG troops in the war torn Liberia. Between 2000 and 2003, the Nigerian Cabin Crew Association (NCCA) consistently decorated him with the award of Best Pilot of The year. In 2003, Najomo was decorated with the award of Commander of the Mid West by the Mid West Hall of Fame. Chris Najomo has the rare experience of flying over 20,000 hours in his entire 33 years career as a pilot. His legion of flight patrons passionately address him as Jolly Papa due to his disc-jockey proficiency while aboard which enables him to act as both a pilot and a Dee-Jay while on his numerous trips locally and internationally. He is the only Nigerian pilot who communicates all locations to his passengers across any geographical route the aero plane is flying in the entire duration of a journey, thereby giving his boarders the quality opportunity to be informed of geographical environments. Najomo is not only renowned for his excellent landing and taking off skills which is a very rare feat with most pilots, but he is much more revered for his gift of oratory, which enables him to communicate fluently from the cockpit to his passengers, reeling out geographical and topographical destinations, places and locations to the travelers during the duration of flight. 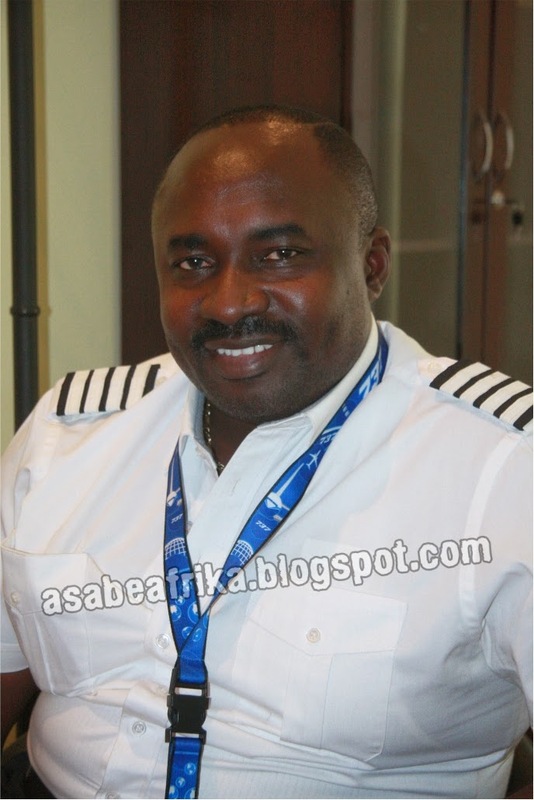 Chris Najomo who presently works with Arik Air PLC has a degree and pedigree in Aviation Management coupled with a thirty two years experience in several brands of aero planes ranging from the BAC 1-11 technology to latest Boeing computer plane technology. He is happily married with 5 children and 3 grand children. It is for his integrity, professionalism, consistency, Popularity and exemplary contribution to the Nigerian aviation industry that Captain Chris Ona Najomo might be voted again as the winner of City People Awards for Excellence’s Best Indigenous pilot for year 2013.